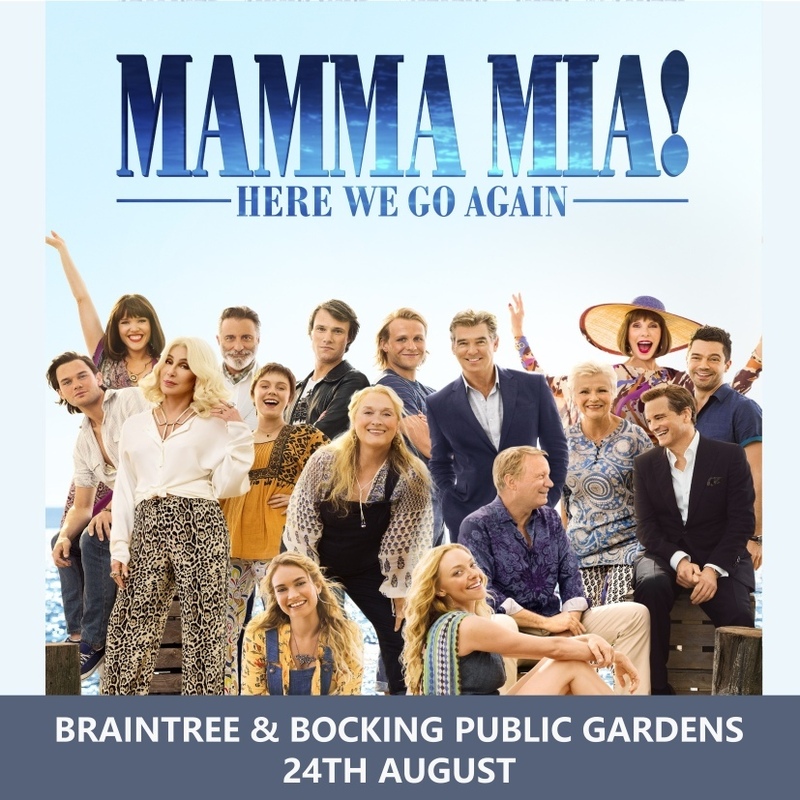 Come to our outdoor event at Braintree & Bocking Public Gardens on the 24th August where we will be screening Mamma Mia Here We Go Again, certificate PG. Get ready to sing and dance, laugh and love all over again. Ten years after Mamma Mia! Gates open at 7.30pm, then the film starts at 8pm and will finish approx 10pm. Food and drink will be allowed onto the premises, but why not leave it at home as we will have plenty of reasonably priced food and drink vendors.